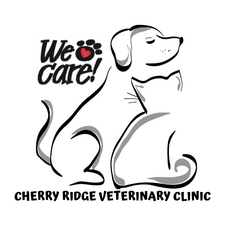 The staff and doctors here at Cherry Ridge Veterinary Clinic would like to inform you about an emerging disease called Canine Influenza. Dog flu is a contagious respiratory disease in dogs caused by a specific Type A influenza virus referred to as "canine influenza virus." This is a disease of dogs, not of humans. The canine influenza virus is an influenza A H3N8 influenza virus that was originally an equine influenza virus. The virus has spread to dogs and can now spread between dogs. The equine influenza virus has been known to exist in horses for more than forty years. In 2004, cases of an unknown respiratory illness in dogs was reported. After investigation it was determined that the respiratory illness was caused by the equine influenza. There have now been confirmed cases of canine influenza caused by canine influenza virus (CIV) in Northeastern PA, including Wayne County and Honesdale area. Symptoms of canine influenza virus may be indistinguishable from other infections, such as Bordatella bronchiseptica, which contribute to the symptoms of "kennel cough." The most common symptoms are lethargy, decreased appetite, low-grade fever, nasal discharge, and coughing that can last for several weeks. While the majority of dogs will have mild symptoms, CIV can also cause a high fever, increased respiratory rate, pneumonia, and even death. The number of dogs infected with canine influenza that die is very small. Some dogs have no symptoms while some have severe infections. Canine influenza virus is spread through sneezing, coughing, direct animal to animal contact, and by contact with contaminated surfaces. CIV has caused outbreaks at boarding facilities, shelters, grooming facilities, dog parks, and dog beaches throughout the United States. Dogs coughing or showing some signs of respiratory disease should not be in contact with other dogs. Clothing, equipment, surfaces, and hands should be cleaned and disinfected after exposure. Because this is a new virus, most dogs have never been exposed to it and have no antibodies to it (and mothers have no antibodies to pass on to their pups). Can you test for canine influenza? 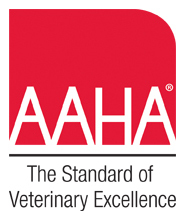 Testing is available at other veterinary diagnostic centers. Treatment consists of supportive care. In milder forms their care may include medication to make your dog more comfortable and fluids to ensure that your dog remains hydrated. YES!!! There is a vaccine available. We here at the Cherry Ridge Veterinary Clinic are reaching out to encourage protection against this virus by vaccinating. We are recommending vaccination against CIV for all dogs that are boarded, groomed, and come in direct contact with other dogs. The canine influenza virus (CIV) vaccine aids in the control of disease and has been shown to reduce the incidence and duration of coughing and viral shedding in infected dogs. This vaccine can be given safely to dogs as young as 8 weeks of age. Previously unvaccinated dogs will need an initial vaccine and then a booster three weeks later. Annual re-vaccination id needed to help continue protection. Please contact us if you have additional questions or would like to schedule your dog.